The Bharatiya Janata Party (BJP) has backed Finance Minister Arun Jaitley's assertion that there should be no politics involved in the launch and implementation of the Goods and Services Tax (GST), to be rolled out at midnight on June 30. The BJP on Wednesday said that the political parties resorting to criticism of the tax regime were hurting not only their interest, but the national sentiment as well, while also adding that the GST was a unanimous choice of the GST council members. "There has been unanimity in all political parties regarding the GST. The GST council has representatives from all the states. The GST, hence, represents the collective will of all the states of the nation. So, anybody making remarks about it will be seen as resorting to negative politics, which some parties are doing. They are not only hurting their own interest, but also hurting the national sentiment," BJP leader GVL Narsimha Rao told ANI. Another BJP leader Kailash Vijaywargiya resonated a similar viewpoint and said, "The GST has been passed unanimously and after that if it's being politicised, then it's not right anyway. The GST is being implemented to make things easier for the traders, not for bringing any sort of trouble to them. And in case, any trouble arises, it will be solved." 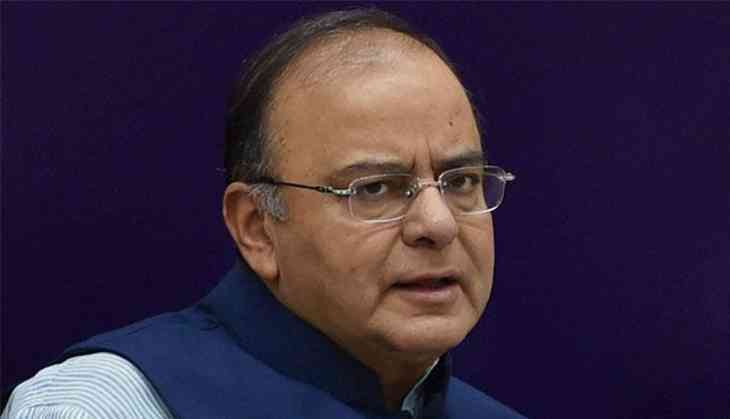 Finance Minister Arun Jaitley, a day before, categorically asked the Congress to refrain from indulging in politics over the GST launch, citing all decisions with regard to the new tax regime were taken unanimously by the GST Council. He had also added that the GST Council was the first federal institution that's chaired by the Union Finance Minister and comprises representatives from all states. The GST will be rolled out at midnight on June 30 in the presence of several dignitaries including President Pranab Mukherjee, Vice-President M. Hamid Ansari and Prime Minister Narendra Modi, besides other luminaries. Addressing media, Jaitley had said that he anticipated that the uniform tax system would help generate revenue and strengthen the Gross Domestic Product (GDP). He also cautioned that states not implementing the GST from July 1, could face challenges and problems. Elucidating the chronology of the programme organised to launch the tax system, Jaitley said the launch would take place at midnight, which will be followed by the address of President Pranab Mukherjee and Prime Minister Narendra Modi.